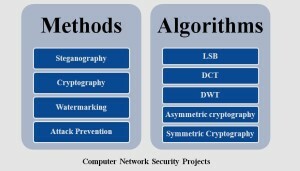 Computer network security projects s an important domain in engineering field. We offer B.Tech computer engineering projects for students with various computer applications. We provide various computer domain related projects for B.Tech final year students. We implement artificial neural network, ubiquitous computing, big data, cybernetics, network security, data mining, distributed and parallel computing from science direct papers. 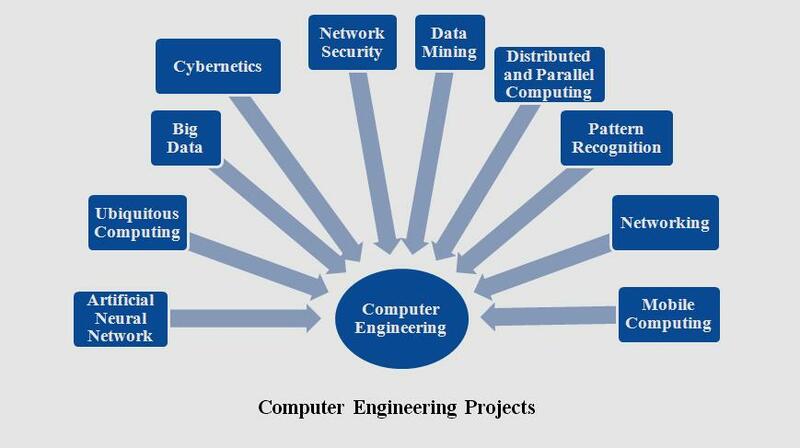 We determine B.Tech computer engineering projects with various domain knowledge, computer security techniques, computer application and multimedia data processing models for final year students. 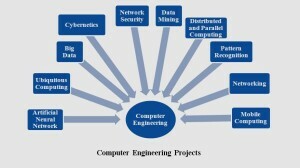 We describe the computer engineering project domains are as follows. We define ubiquitous as found everywhere, anywhere and access by any device. We need ubiquitous computing environment in distributed computing, location computing, sensor network, human computer interaction and mobile computing. We develop ubiquitous computing projects by java, .net and C language. We simulate wise and ubisim for computation and communication process in ubiquitous computing. We need image processing, data mining, machine learning, and multimedia data retrieval domain projects in pattern recognition and analyzation process. We use back of features such as color, texture and pixel in image and data mining application. We built speech recognition process with semantic and syntactic matching process to identify accurate part of speech in data base. We implement WI-FI, 3G, 4G communication, Bluetooth communication, and WI-MAX communication in mobile computing environment. We establish this communication in java with WI-FI and WI-MAX platform we can’t implement wireless sensor communication in real world because sensor device cost is more. So, we provide some simulation tool such as INET, MiXiM, & Castalia framework in OMNET++ with GUI for realistic simulation to develop vanet, WSN, Manet and WMN. We ensure security to preserve confidential information in personal system or during transaction our project team are examine various security algorithm and implement best computer network security projects. We process security algorithm based on asymmetric, symmetric and hash function. We adopt security algorithm such as MD5, DES, AES, diffie Hellman key exchange and hash functions. We implement computer network security projects in java or .net language. 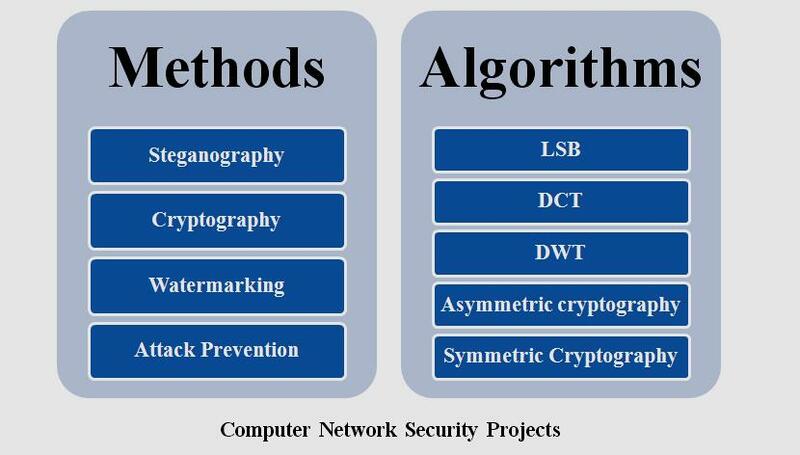 We examine the depth in knowledge about cryptographic and stenographic techniques, algorithm & methodology from computer network security projects. We analyze security algorithm performance by NS2, Opnet, NS3 and QUALNET. We developed more than 80+ projects in parallel and distributed computing system ensure communication with various computer to achieve scalability and reliability goals. Java and .net are famous programming tools in parallel and distributed computing projects.